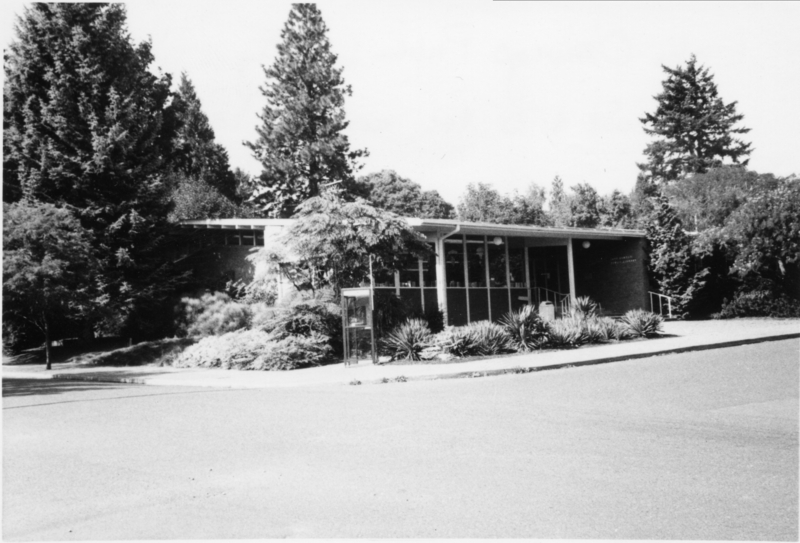 Lake Oswego Public Library, 4th & D Ave, northwest corner. Photographed October 1976 by Ralph Vincent. Vincent negs. Transcription Lake Oswego Public Library, 4th & D Ave, northwest corner. Photographed October 1976 by Ralph Vincent. Vincent negs.